What kind of suggestive selling or up selling sells the best? 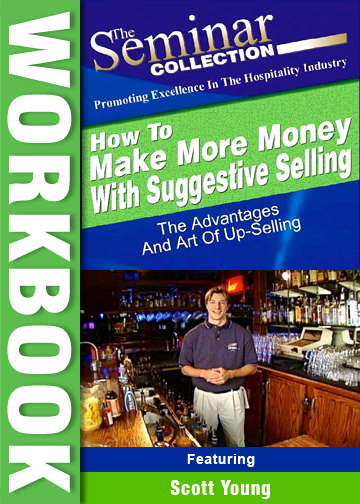 Do you or your servers and bartenders use suggestive selling techniques to increase sales & guest satisfaction? What kind of Suggestive Selling or Up Selling Sells Best? Genuine Suggestive Selling Sells. 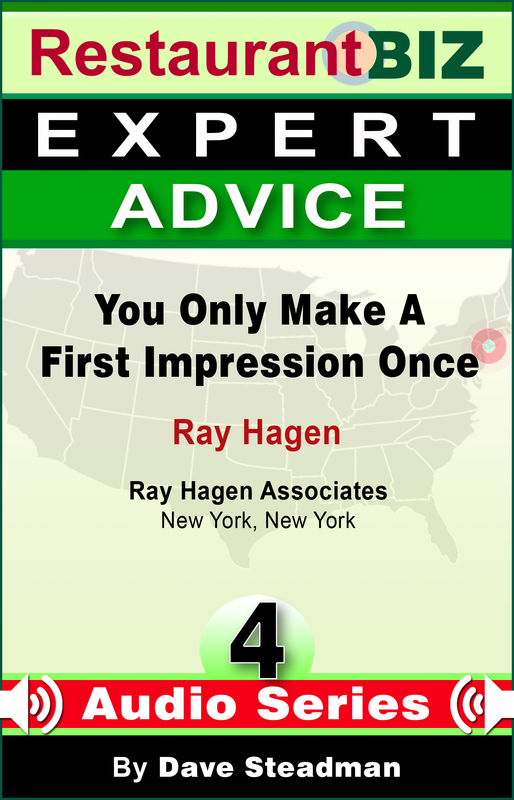 Guests appreciate Helpful Suggestive Selling, Honest suggestive selling stands out. Let’s begin by putting you in the shoes of a customer. What do you like about your favorite restaurant or bar etc? I have a few personal favorites and the reasons are simple and I suspect they are the same as yours. I’m talking about casual dining, not the five-star, upscale dining experience. Most of us don’t go to those establishments on a regular basis; we go to the casual to casual-upscale restaurant, because we know the food quality is consistent, the bar carries our favorite wine or brand of vodka. Probably the most important reason we go is for because of the consistent customer service. Of course we know the food is generally to our liking. We also take for granted that we’re going to receive the same customer service as usual. It’s nothing outstanding, but they will probably manage to get our food to us in a timely manner and they aren’t rude. Well, it’s generally kind of loud and we don’t usually go there if we just want some peace and quiet while we eat. Sound like your reasoning when deciding to go out to eat? – Do you want your restaurant to be people’s favorite place to enjoy dinner? – Is your food consistently good? – Are your drinks tasty? 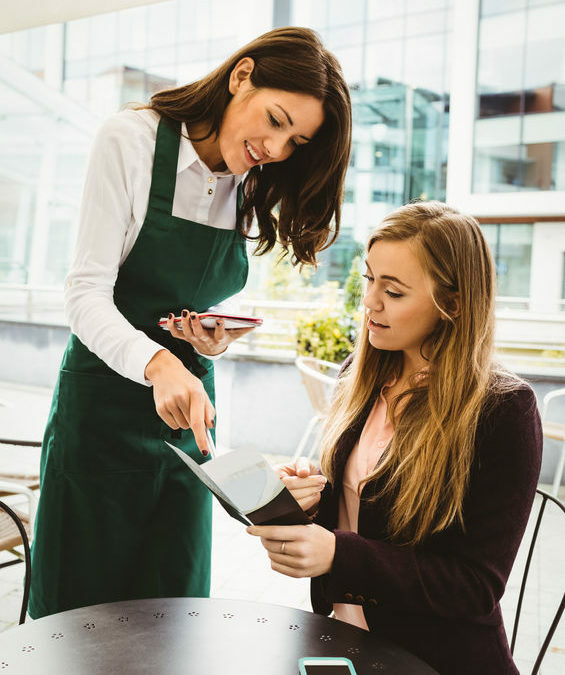 – Is your wait staff truly interested in your guest’s best dining experience? The answer is every day, of course. They are so used to just taking an order that they don’t realize how much power they really have! Yes, power! 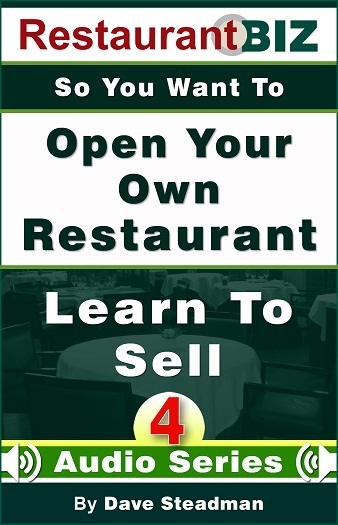 All servers have, or should have, total and complete knowledge of your menu. Certainly they need to know the bar cocktails and the premium alcohol you serve so they can be genuinely helpful. Servers have all this powerful ammunition in their heads when they go to a table and they, all too often, don’t use it due to many factors! 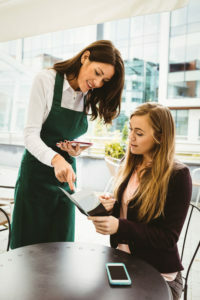 If you are a restaurant or bar manager, try changing the way your servers and bartenders approach their duty as a server. “Why Limit Yourself to 1 Product or Trainer? First of all, help your people understand that they are an independent contractor/salesperson who has total control over his/her income. The more they use their suggestive selling skills, the more money they make for the company and for themselves. First of all, suggest a cocktail or wine before guests ask about those things. Likewise, direct their thinking toward the appetizers and some of your most popular entrees, etc. making them feel comfortable and welcome. And it truly is if the server believes him/herself to be an independent salesperson. It is a two-way street, of course. Guests will, more often than not, tip a server much more when they have been guided through their dining experience. As guests, we want to feel like our server has earned the tip. If he/she has guided us through the sometimes arduous journey of a menu, and found out our likes and dislikes and reacted accordingly, we feel good about leaving a bigger tip, knowing that our knowledgeable and caring server deserves it. Honest suggestive selling is appreciated. 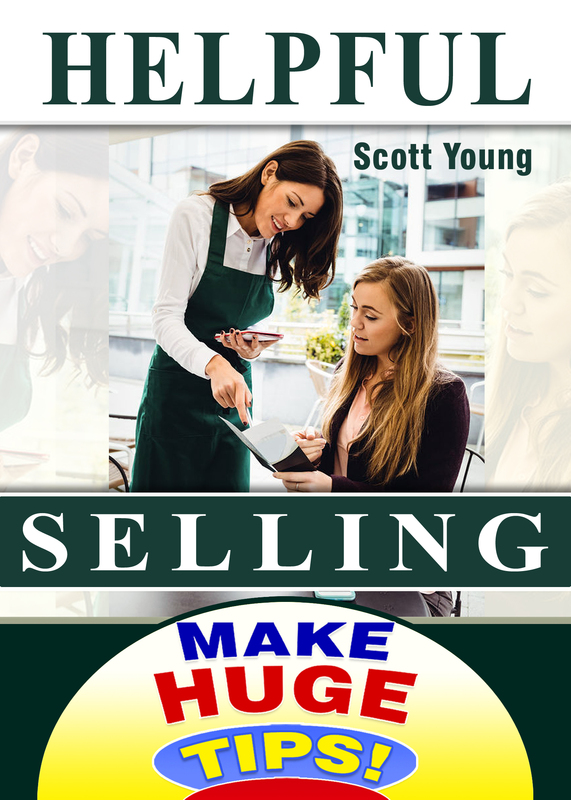 Pushy suggestive selling does NOT work. Excellence is an act won by training and habituation. but rather we have those because we have acted rightly. 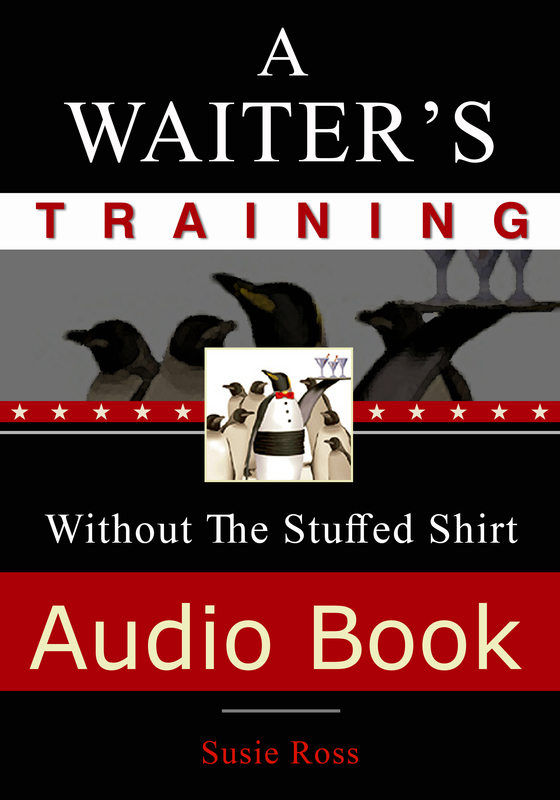 Susie founded Waiter Training when she realized that restaurants could benefit from her extensive background in successful sales in the restaurant industry and as an instructor. Her background in the restaurant business runs the gamut from fast-paced breakfast and lunch service to a more formal evening and dinner atmosphere, and spans nearly 15 years. Hi Everyone, It’s Scott Young. you are leaving money on the table because people go out ready to spend. So, help them help you :). Above all, to be as successful as possible, Bartenders & Servers need to be great Salespeople not just bored Order Takers. 1) What job do you have? 2) How do you use Suggestive Selling as a tool? 3) How well does it work? 4) Any numbers and/or percentages you can give? 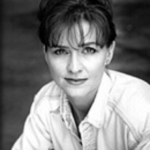 5) Do you have any Suggestive selling success stories? 6) Do you have any Suggestive selling situations gone horribly wrong? 7) What are the most challenging situations you’ve had to deal with? 8) How did you handle it and/or should have? 9) How to deal with challenging co-workers who don’t use or understand the concept of Suggestive selling? 10) Does your competition use suggestive selling? 11) Are there right and/or wrong ways to do it? Thank you for adding your wisdom to the discussion.